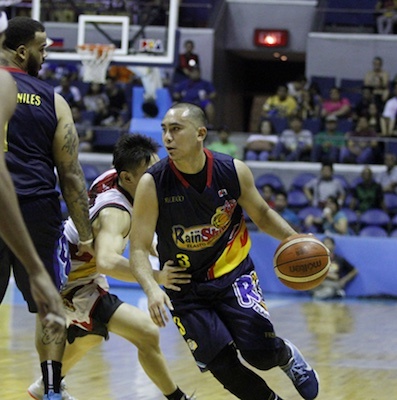 Paul Lee had his finest game of the conference so far for the Painters. Labor Day wasn’t kind to the San Miguel Beermen, who needed a win to stay alive in the 2016 PBA Commissioner’s Cup semifinals. The Rain or Shine Elasto-Painters, however, had other things in mind, blowing out the Beermen en route to punching their second straight Finals appearance. 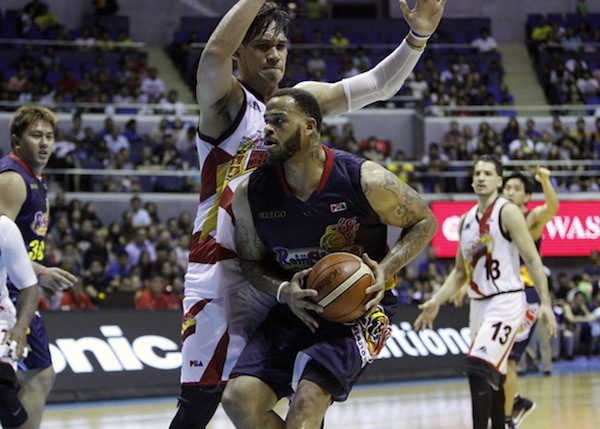 The Rain or Shine Elasto Painters ensured their entry into the Oppo PBA Commissioner’s Cup Finals after notching a convincing victory over powerhouse San Miguel, 124-99, in Game Four to clinch their semifinal series on Sunday at the SMART-Araneta Coliseum. After faltering against an All-Filipino San Miguel squad in Game 3, Rain or Shine left little doubt in this one as they leapt out to a 19-point lead by halftime and led by as many as 26 points in the lopsided game. 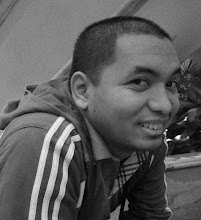 Paul Lee had a terrific offensive performance with 18 points on 6-for-9 (66-percent) shooting alongside a team-high five assists while five other players reached double figures in a typical balanced showing for the Elasto Painters. Pierre Henderson-Niles was a solid presence in the paint for ROS. 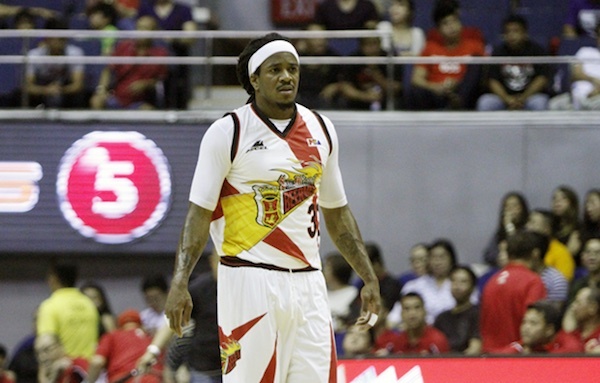 Not even AZ Reid's presence could push SMB to a Game 5. Gabe Norwood and import Pierre Henderson-Niles each finished with 15 points with Norwood hitting three three-pointers for Rain or Shine and Henderson-Niles grabbing 14 rebounds and four steals in the win. Chris Tiu chipped in with 13 markers, Jericho Cruz added 12, and Raymond Almazan had 10 as part of a strong showing from the Rain or Shine bench. San Miguel was led by the returning import Arizona Reid, who scored 25 points but shot only 12-for-31 (38-percent) to reach his total. He flew in on Saturday to replace Tyler Wilkerson but struggled in his first game back, particularly in the first half where he shot 5-for-18 (27-percent). Marcio Lassiter also had 20, built around five three-pointers, for the Beermen before fouling out early in the fourth quarter. Rain or Shine was able to pull out its regulars with nearly three minutes still left to play in the game. They now await the winner of the other semifinal series between Alaska and Meralco, which the Aces currently lead, 2-1. Pierre Henderson-Niles (ROS) - 15pts, 14rebs, 4stls, 2asts, 1blk, 7/9 FGs. AZ Reid (SMB) - 25pts, 17rebs, 5asts, 1stl.